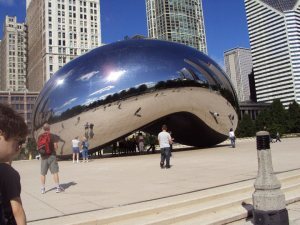 Cloud Gate is usually called the Bean because of it’s shape which reflects all sorts of different angles and is a great sculpture to take photos around or under. During the winter below the Bean people can rent skates and ice skate. 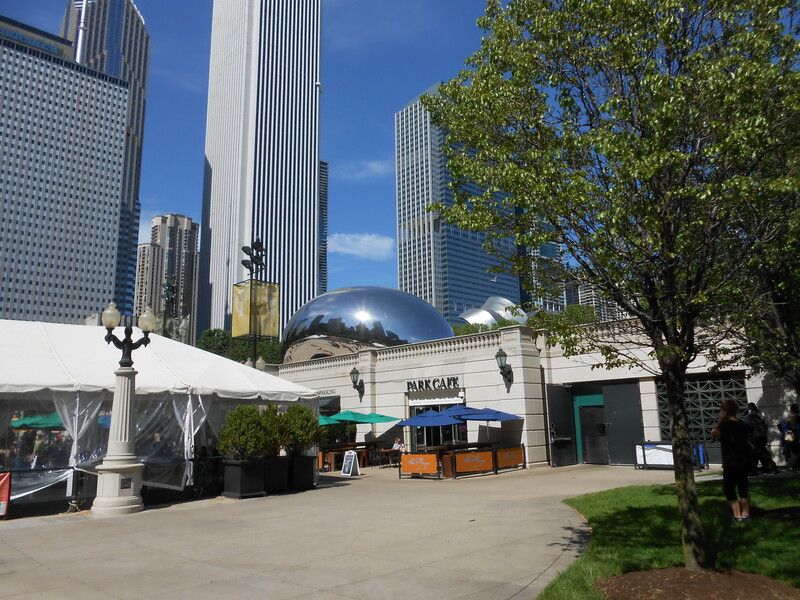 During the summer that area turns into nice seating for dinning and special food events. 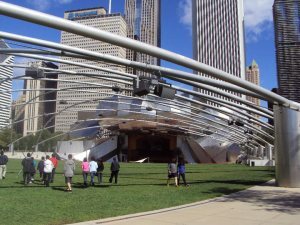 Millennium park is also home to a stage where events are held, such as music productions, the lawn tends to fill up with people in chairs or picnics in order to listen to whatever is playing, such as opera or orchestras. The crisscrossing beams have speakers so the music can be heard throughout the area. 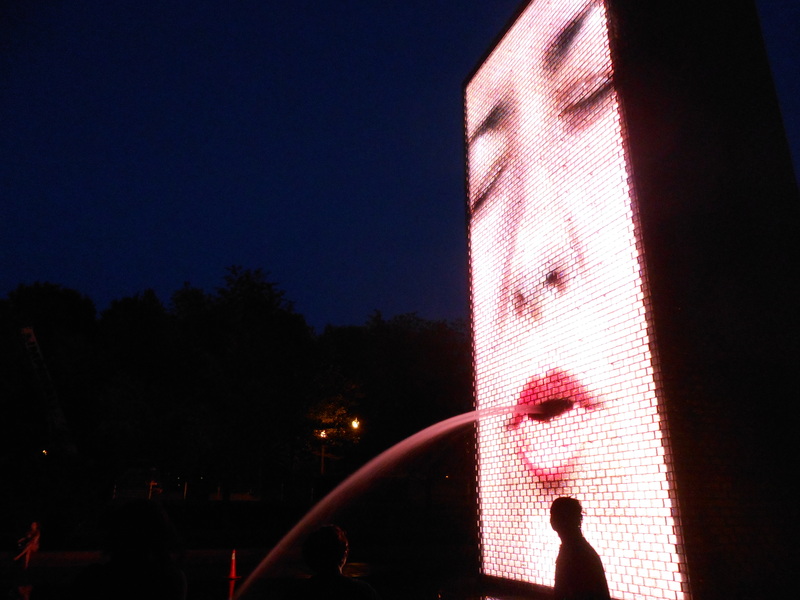 The Crown Fountain is two large pillars with digital faces that move and eventually spit out water. 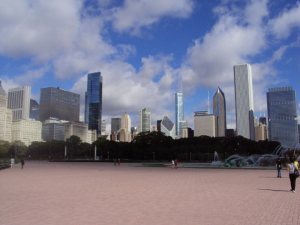 There are also other places to go and explore in Millennium Park. 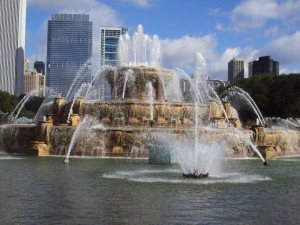 In Grant Park the popular destination day or night is the Buckingham Fountain. 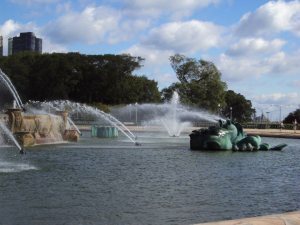 The Buckingham Fountain is a great place to go to see a view of the city. It’s best in the summer when it’s on. 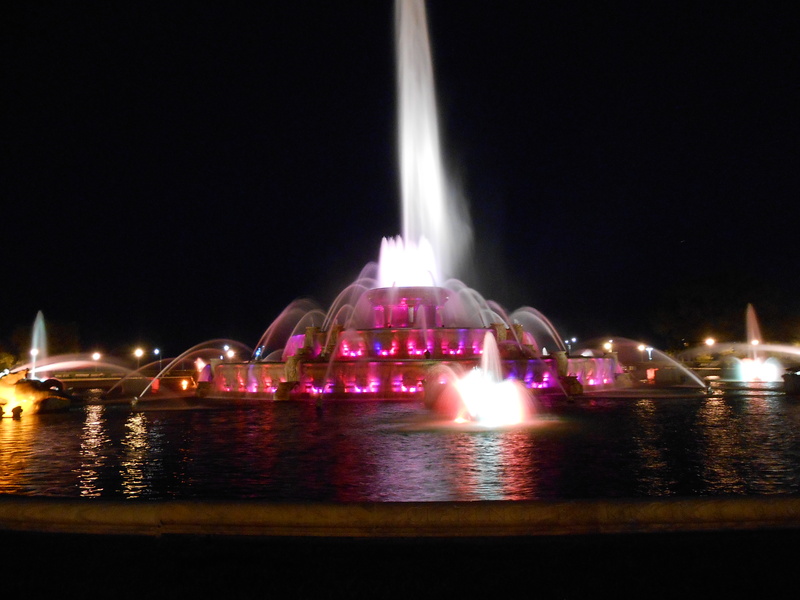 In the evening during the summer the fountain lights up and has a music/light show, where the lights change colors and fluctuate depending on the music. 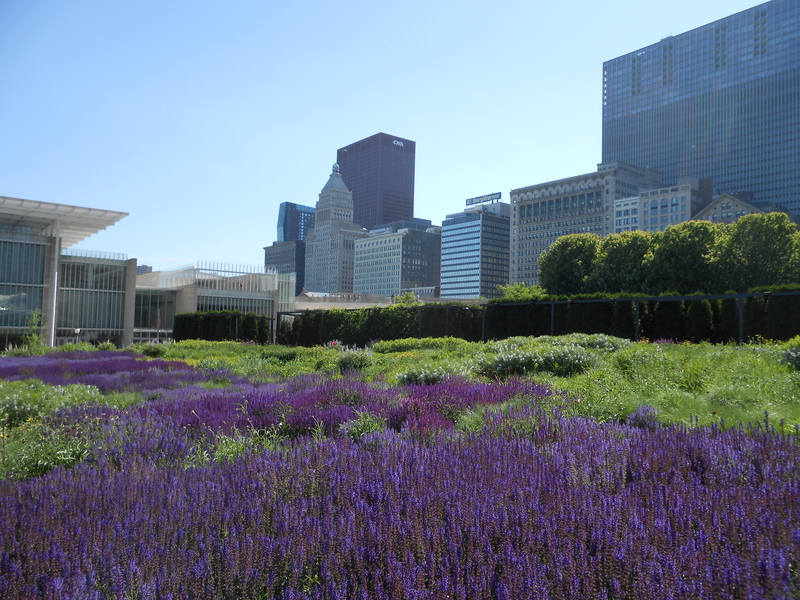 Lurie Garden is located towards the back of the park behind the crown fountain somewhat near the Jay Pritzker Pavilion and Great Lawn. It’s a beautiful garden during the summer and has a nice view of the city. The best part, however, is there is a little wooden boardwalk along a cold water stream where you can take off your shoes , sit on the boardwalk and stick your feet in. 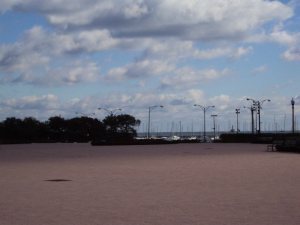 Along the lake in the loop is plenty of beautiful parks to look at with interesting art displays, events, performances, and gardens to enjoy.